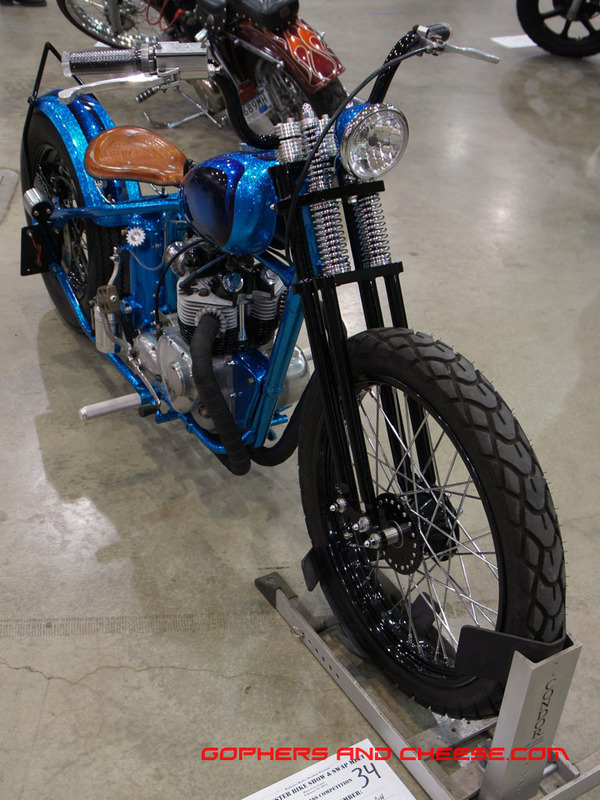 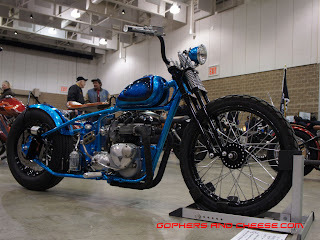 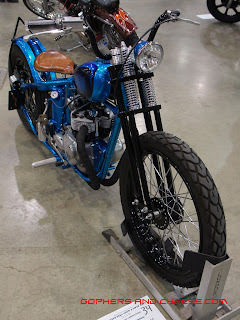 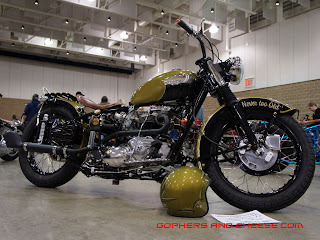 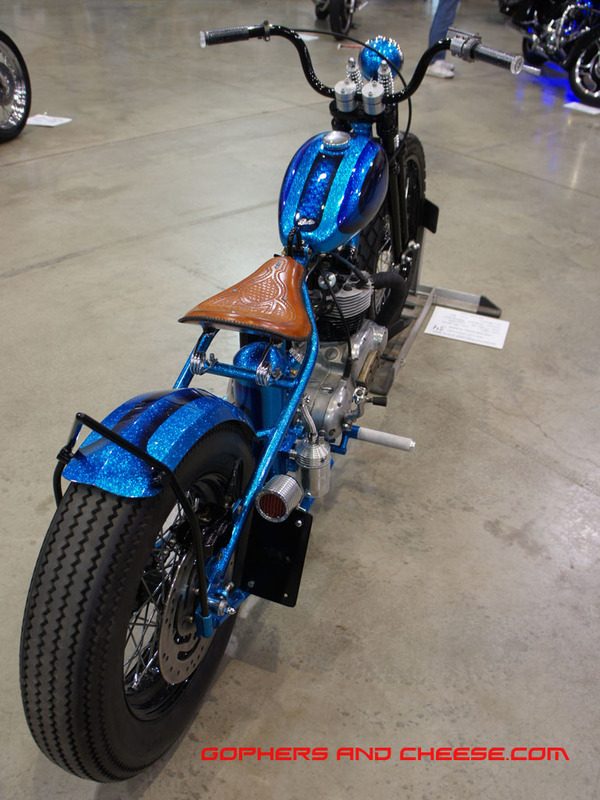 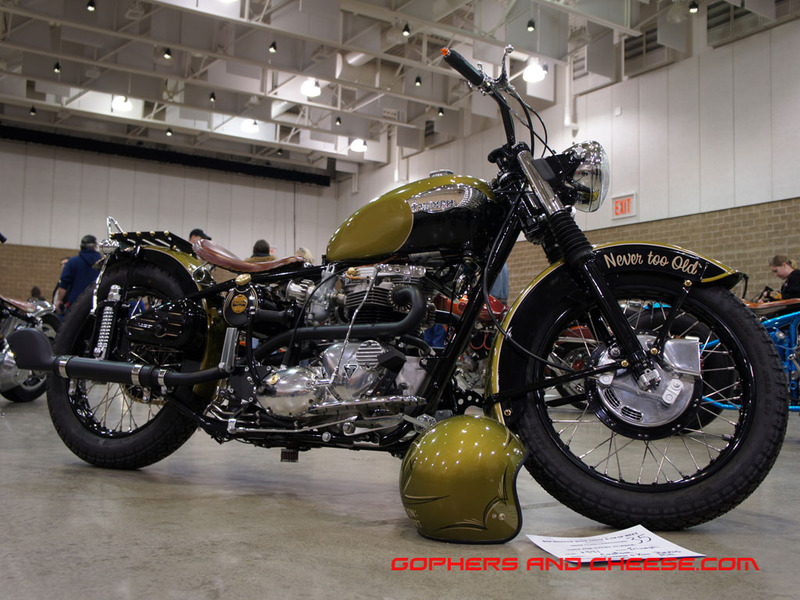 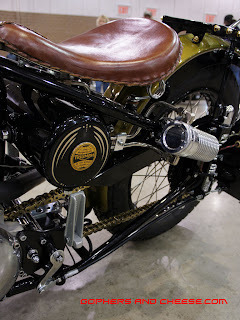 If you like Triumphs, there were some amazing bikes at the 2013 Rochester Motorcycle Show. 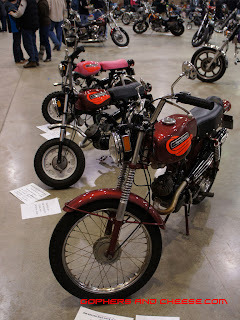 This 1965 T100 was my second-favorite bike at the show. 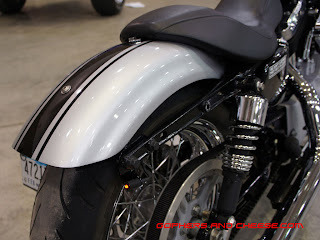 The only thing I didn't like about it (and I am nitpicking) was the curved roundbar where the front of the seat attaches. 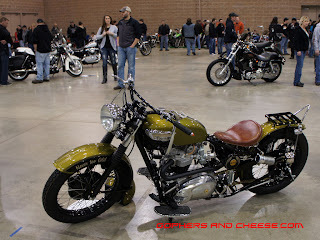 This olive 1971 Triumph was also really cool and was my wife's favorite bike at the show. 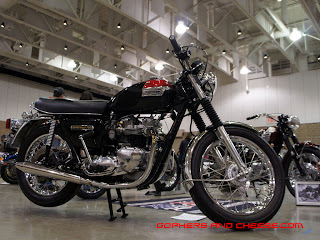 Those two bikes make this beautiful (but relatively stock) Triumph Bonneville almost seem boring. Two more posts to go and yes, I'm saving my favorite for last (hint: it's a Sportster). 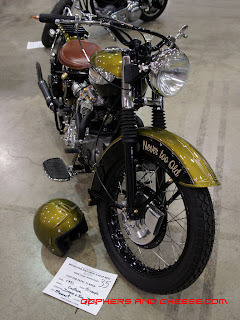 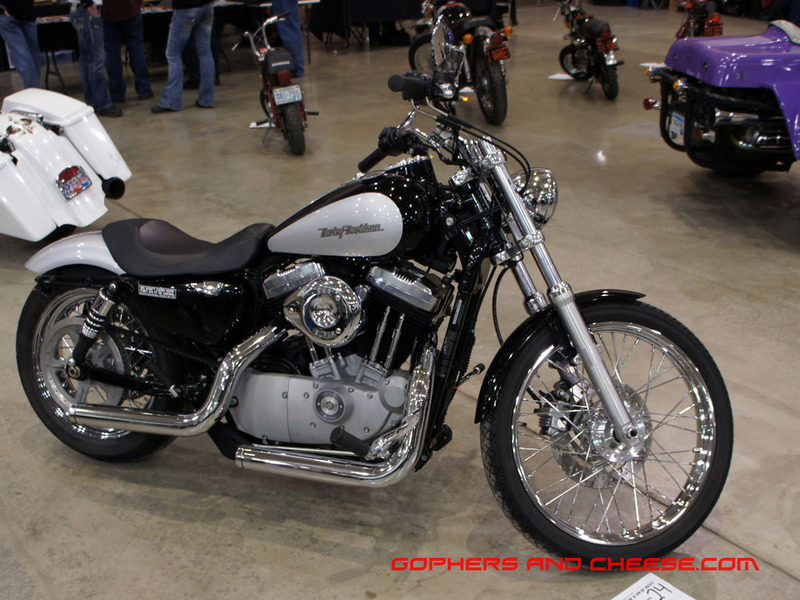 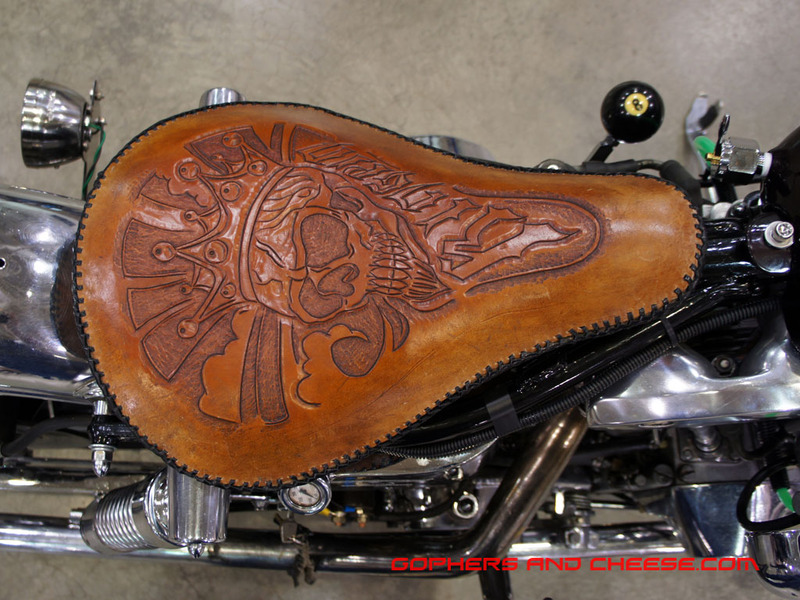 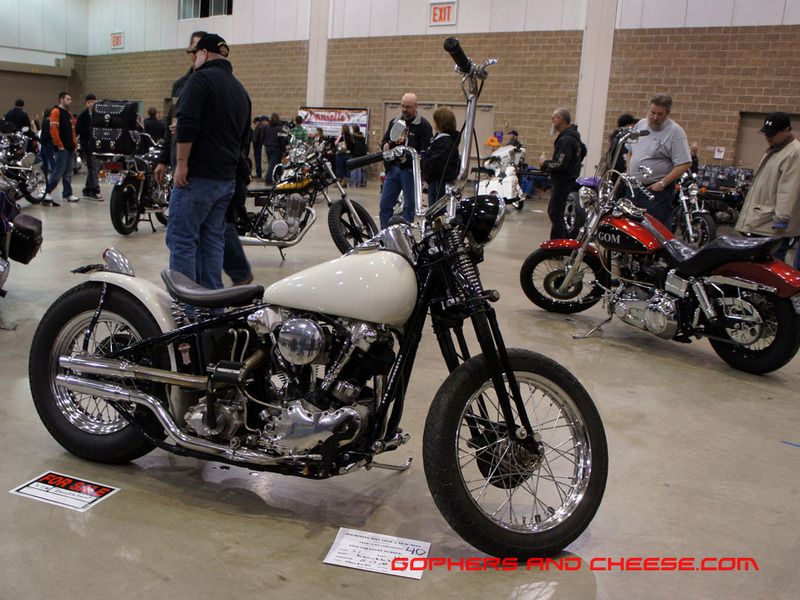 If you like old Harleys, there was something for you too at the 2013 Rochester Bike Show. 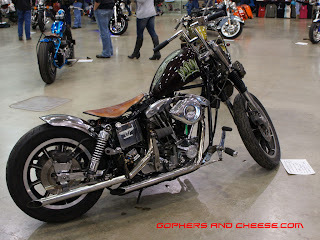 I really liked this panhead complete with ripple pipes. 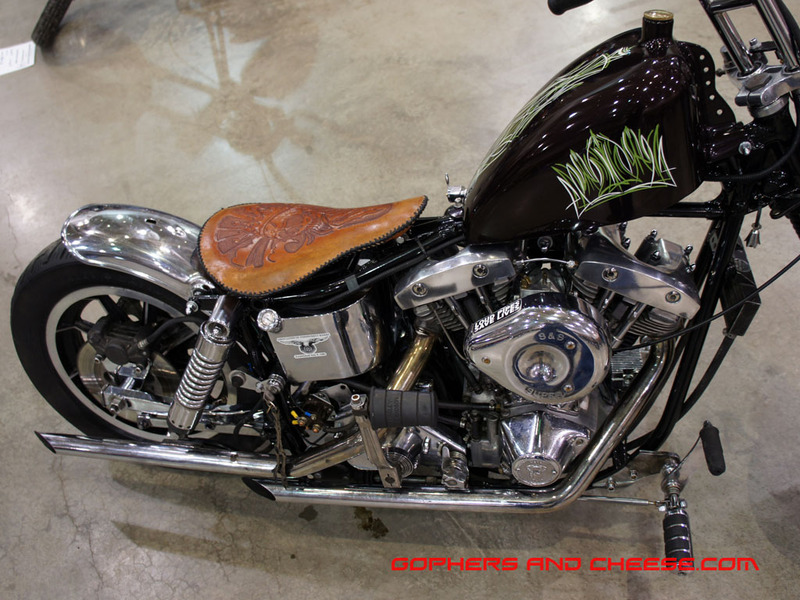 This white knuckle was for sale and featured a glass doorknob hand shifter. If you prefer even older bikes, check out this 1941 WLD. It's wearing a hat! 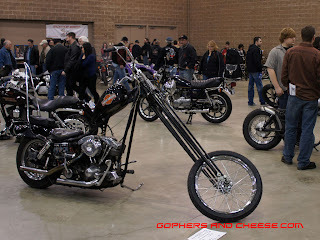 By comparison this purple shovelhead looks new. 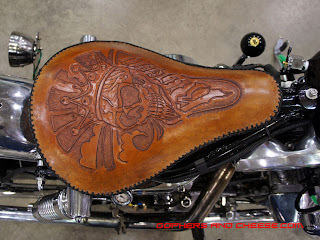 The seat was nicely done and I like the rock guard on the headlight. That's a lot of old Milwaukee iron. 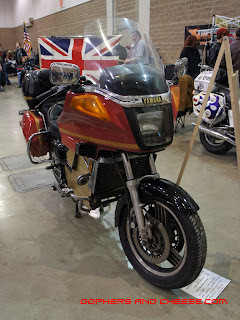 If you're looking for some British iron, that's in the next post. 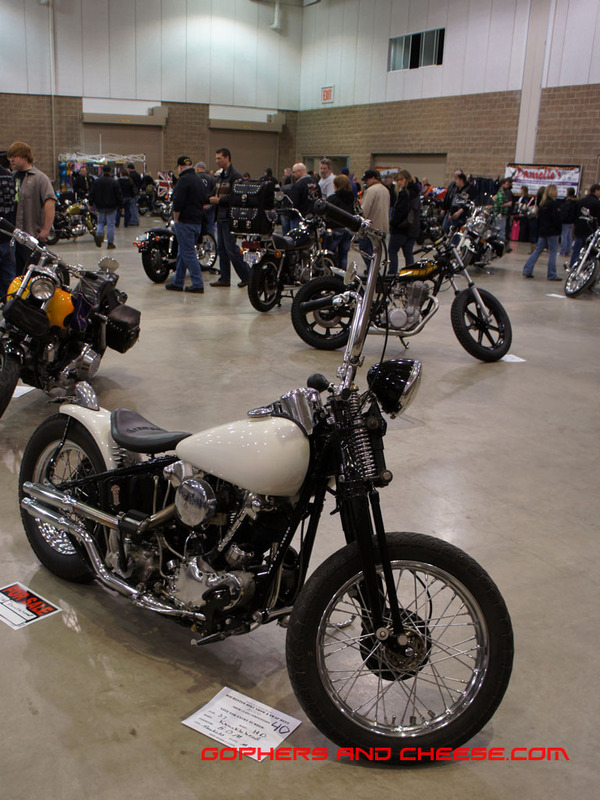 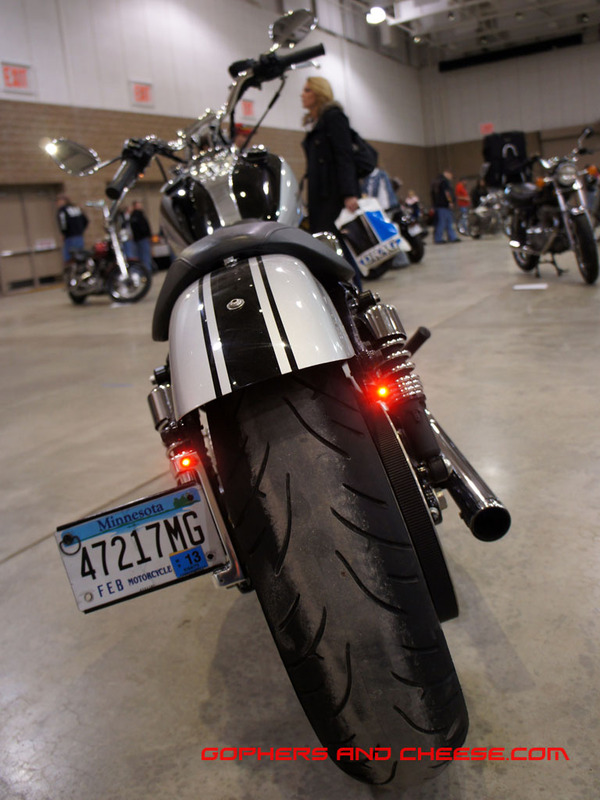 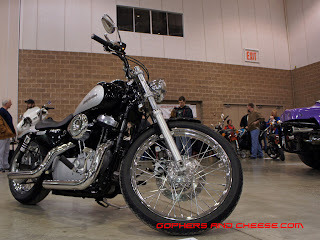 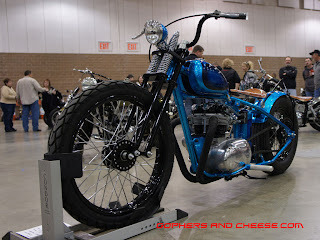 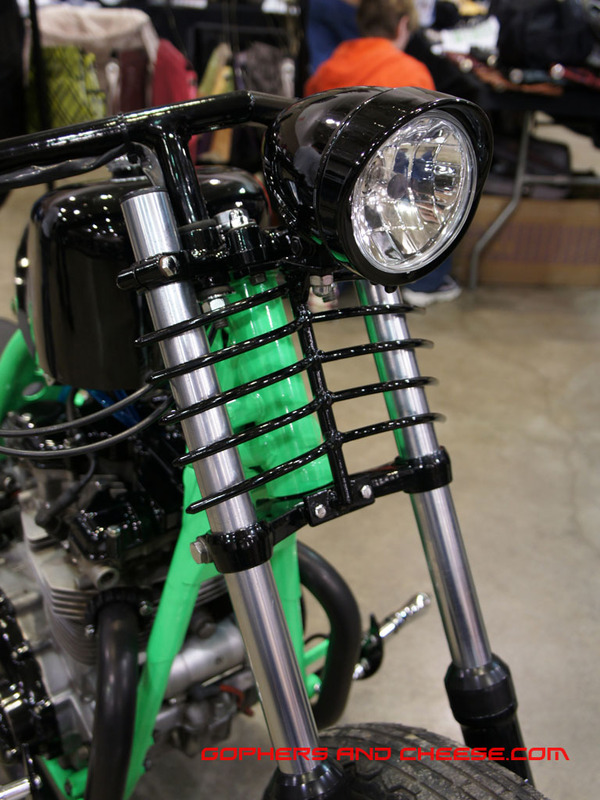 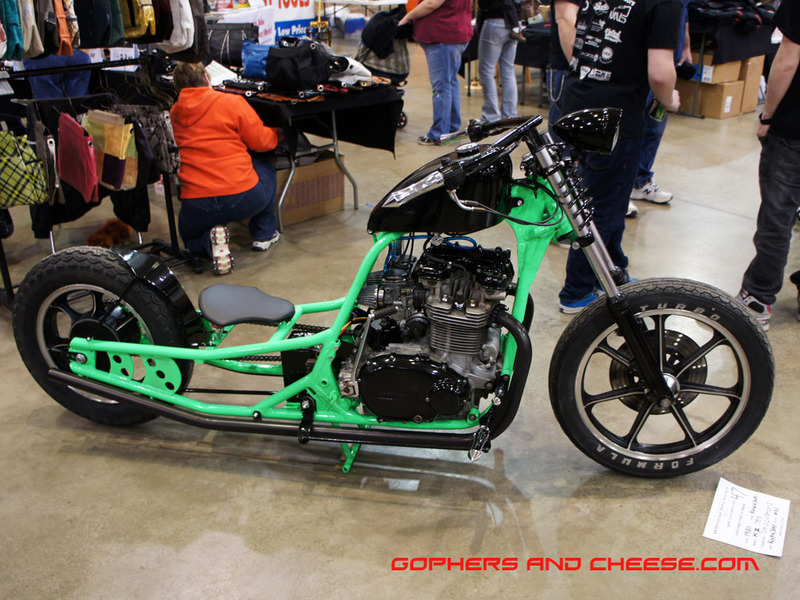 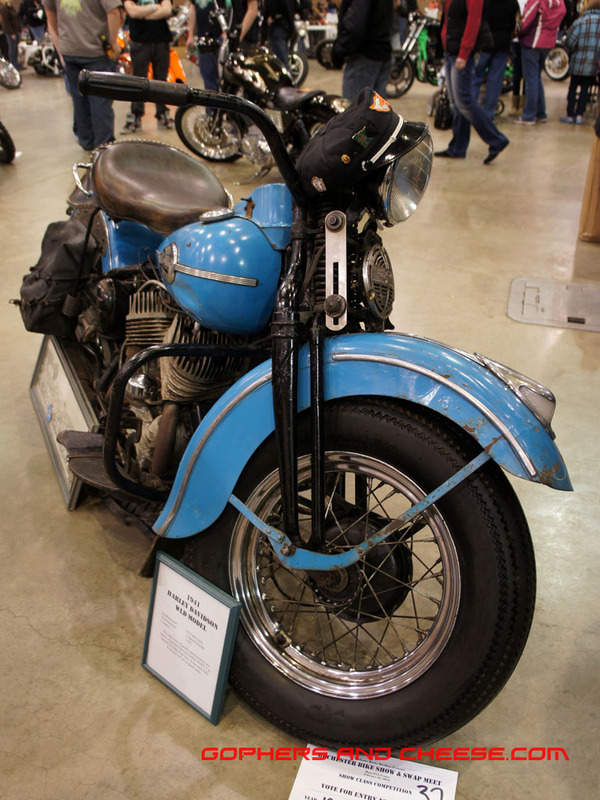 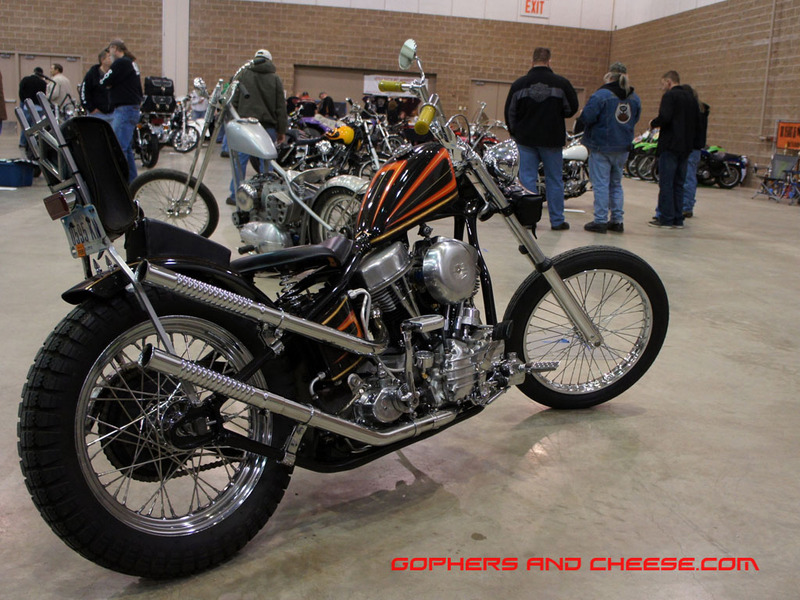 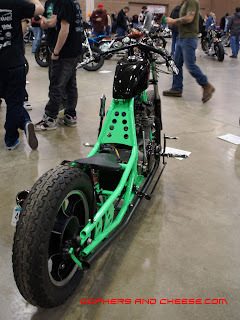 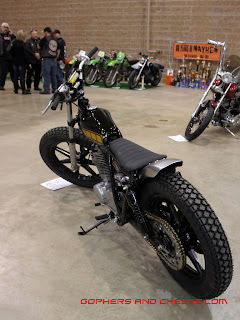 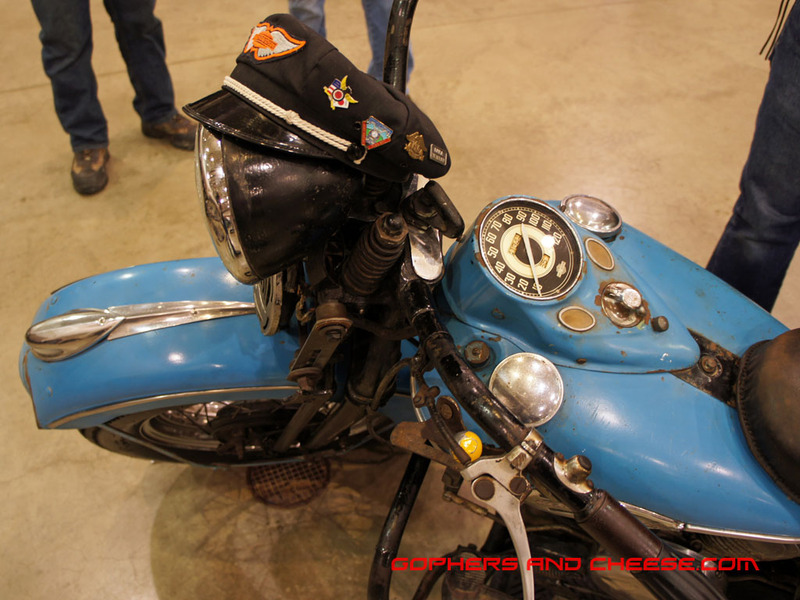 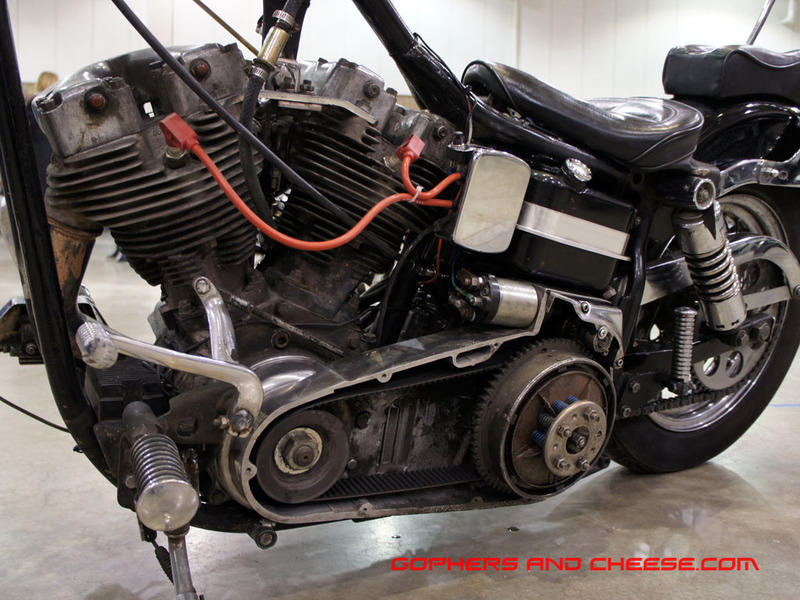 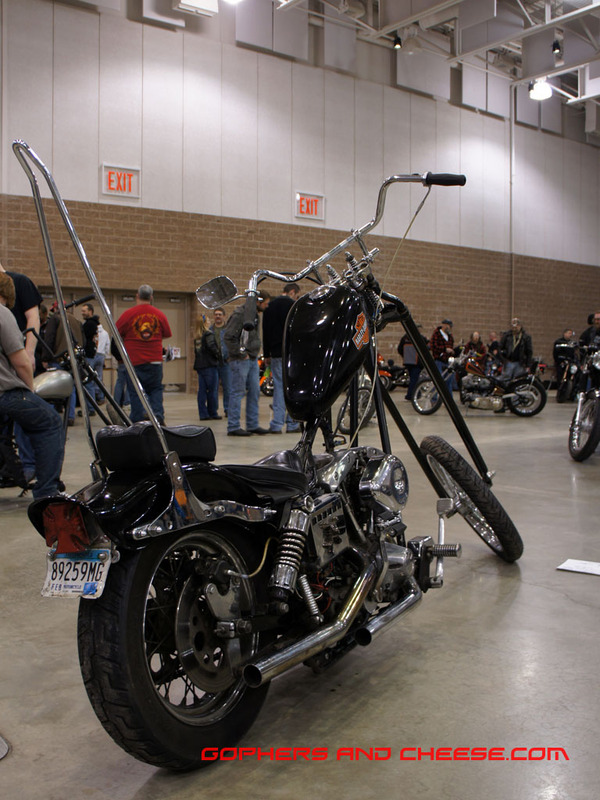 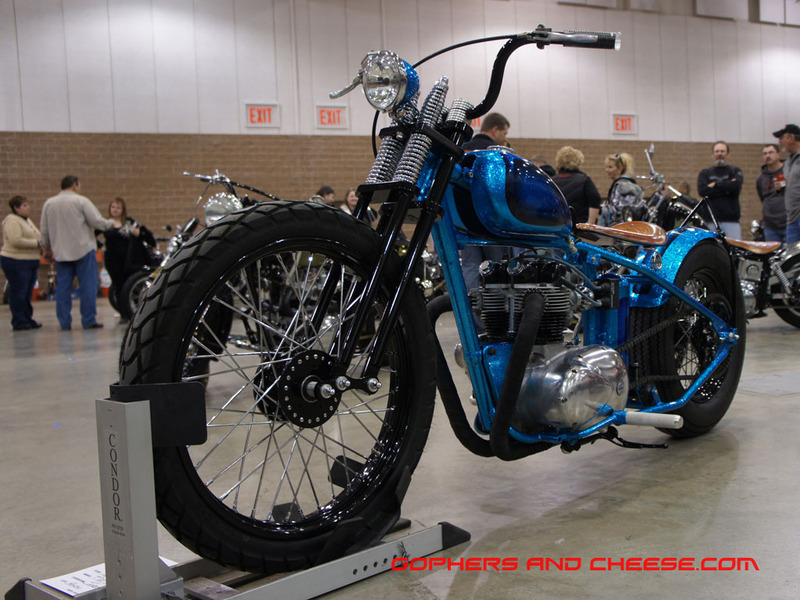 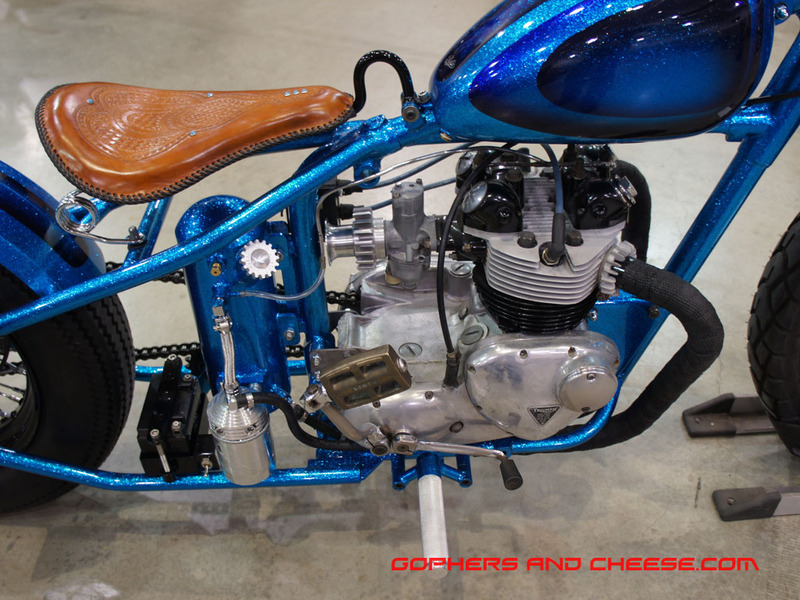 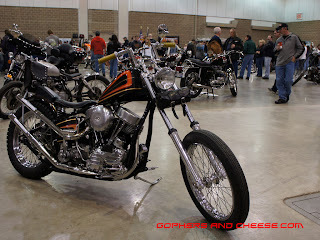 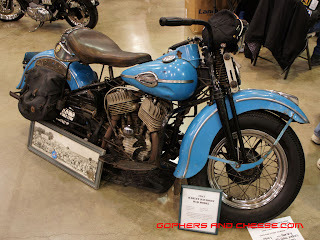 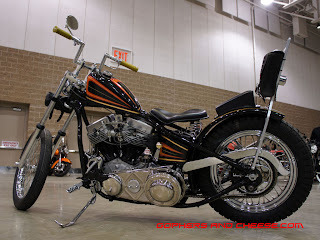 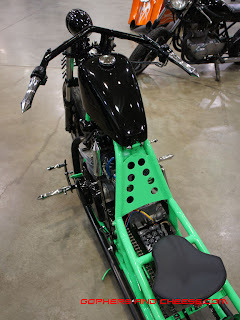 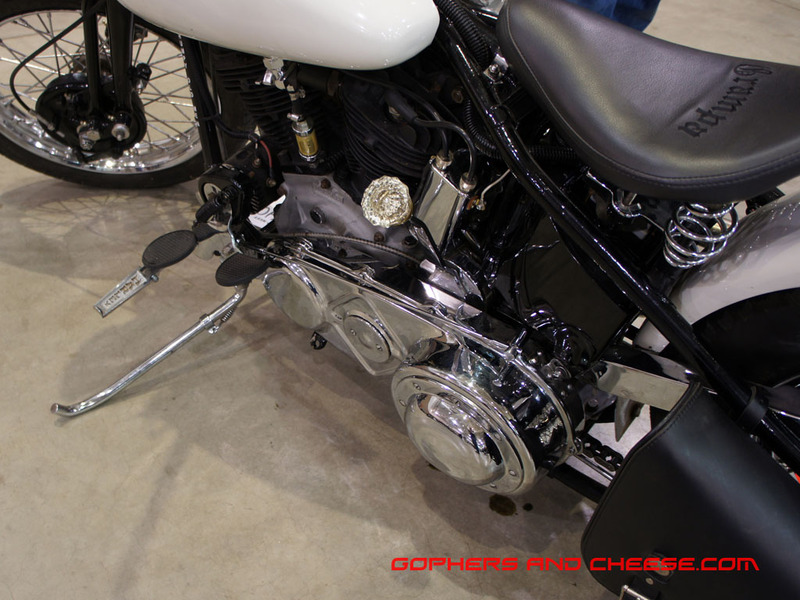 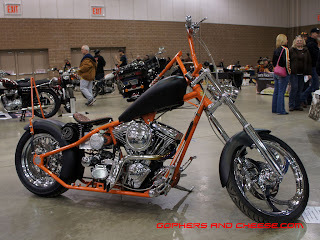 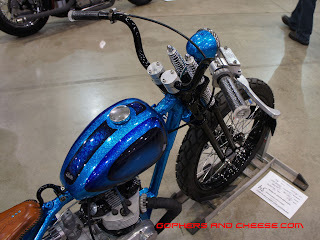 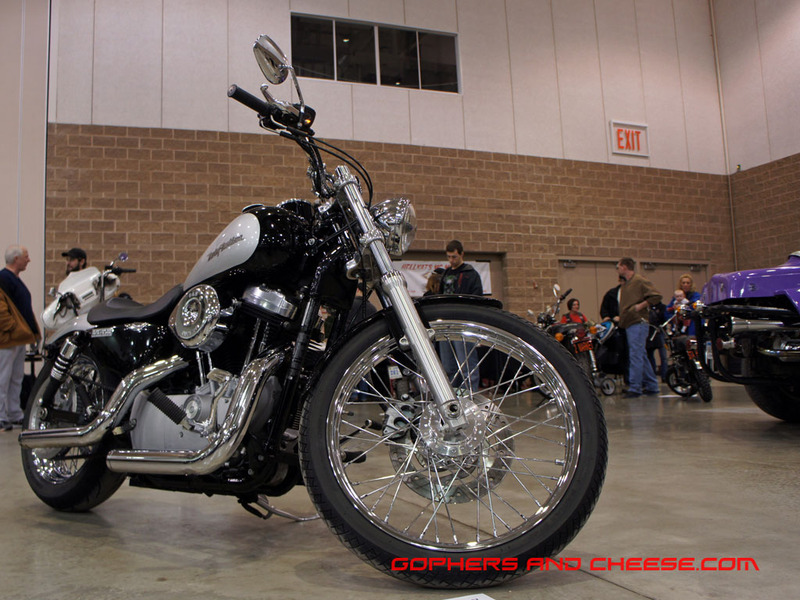 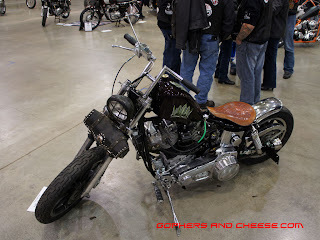 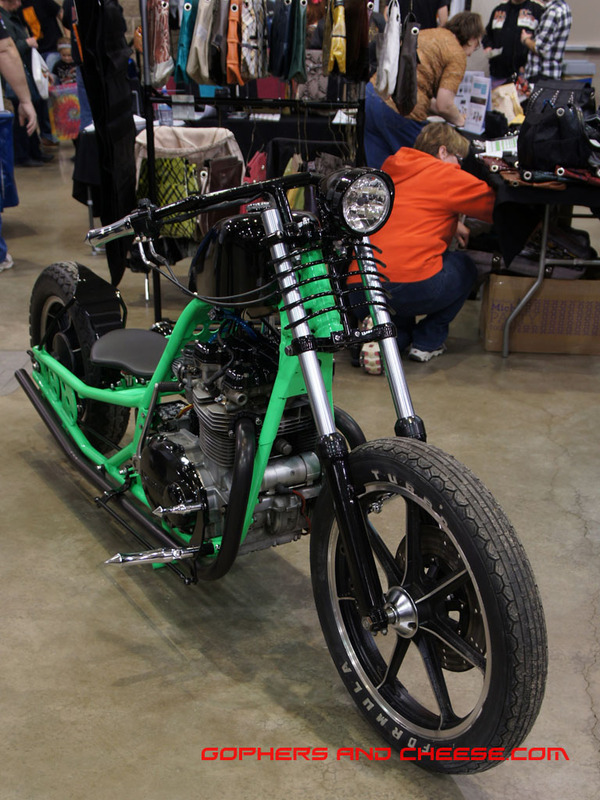 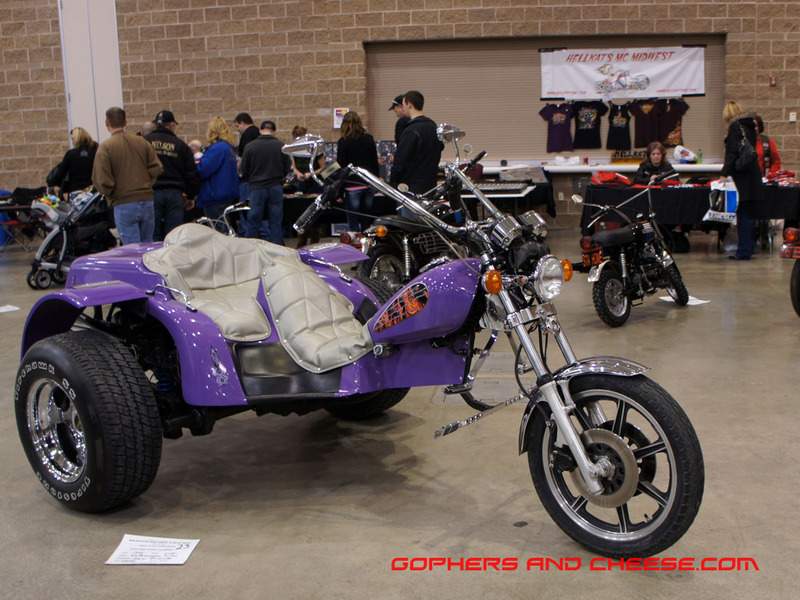 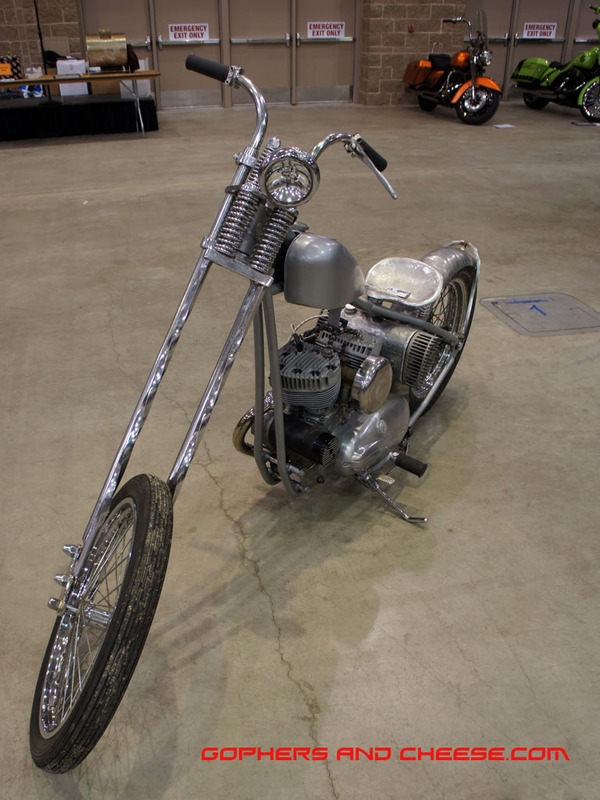 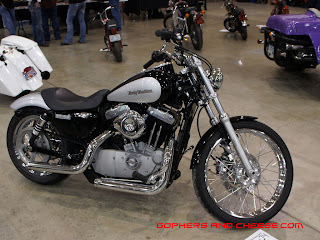 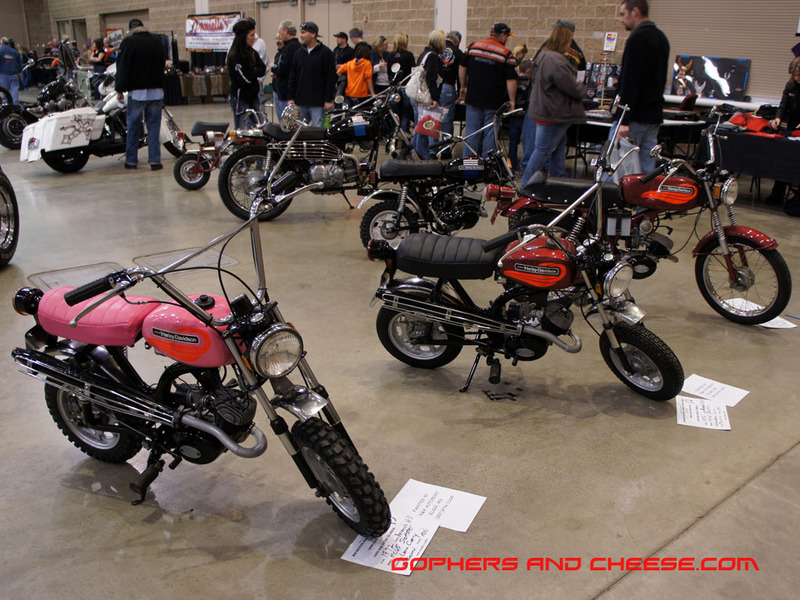 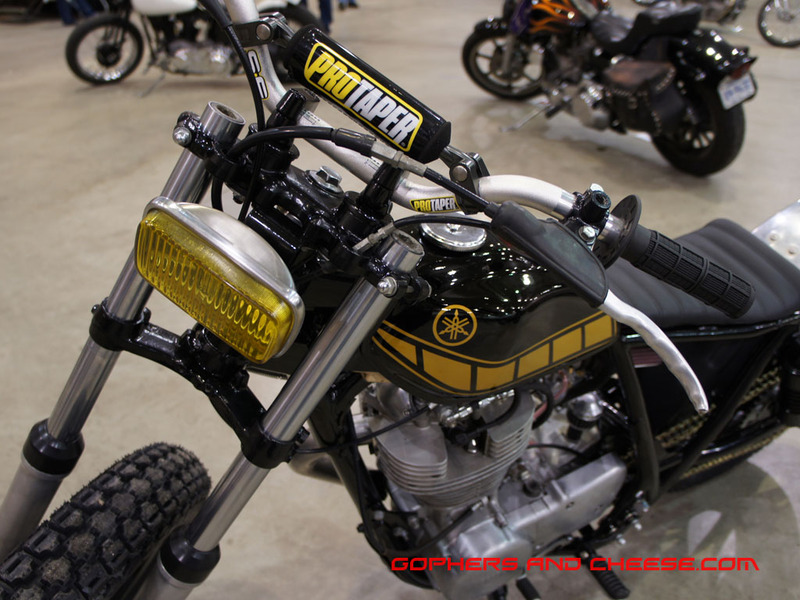 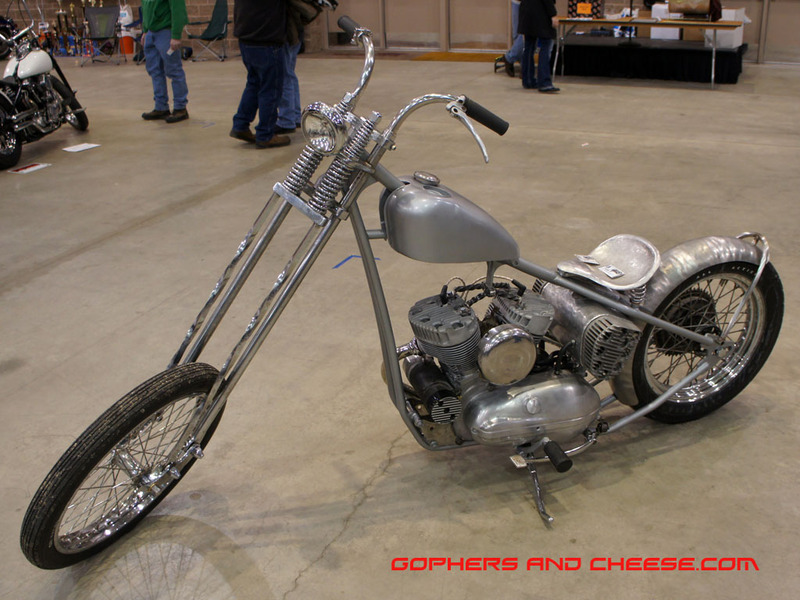 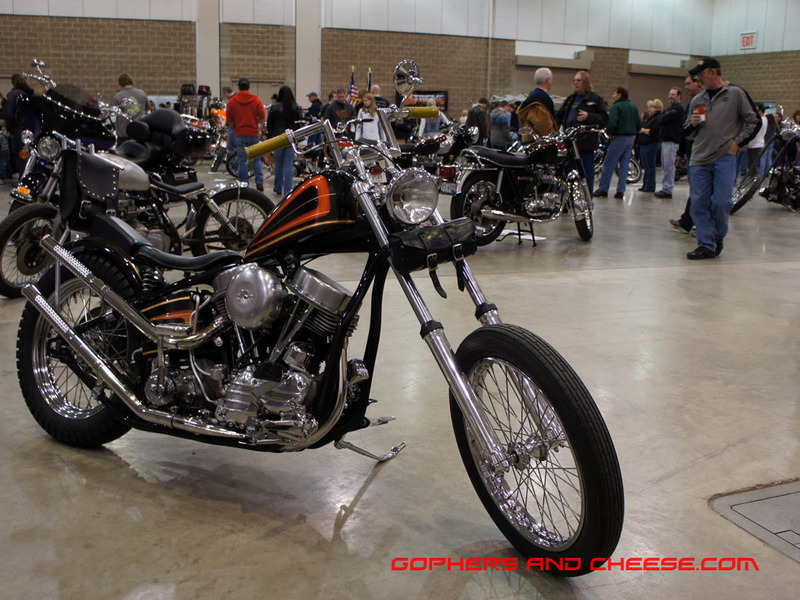 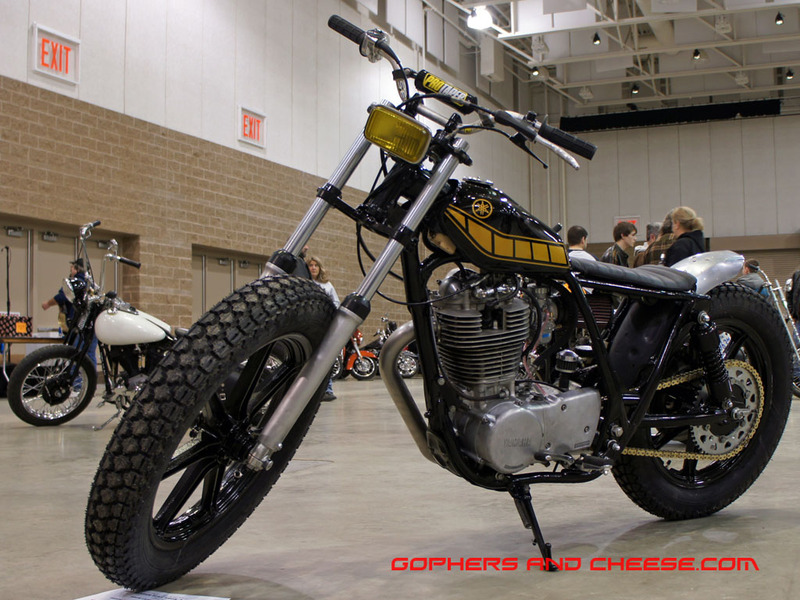 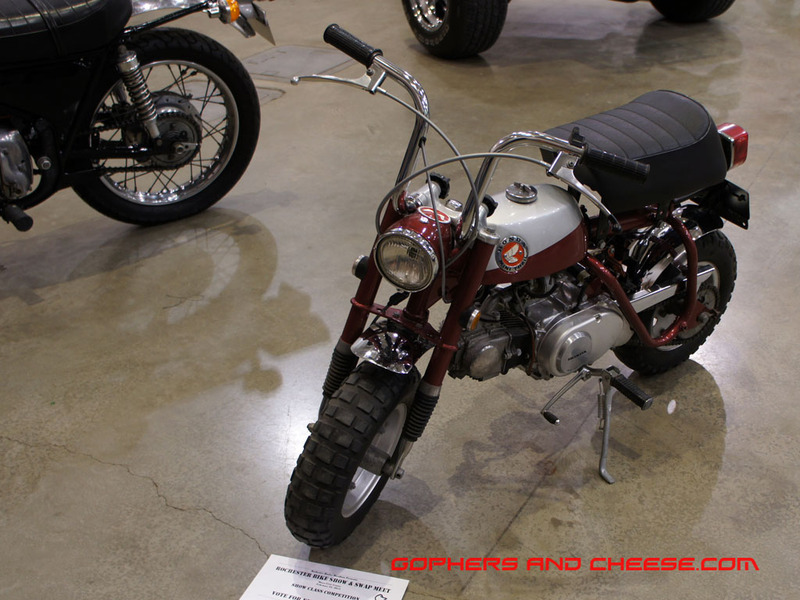 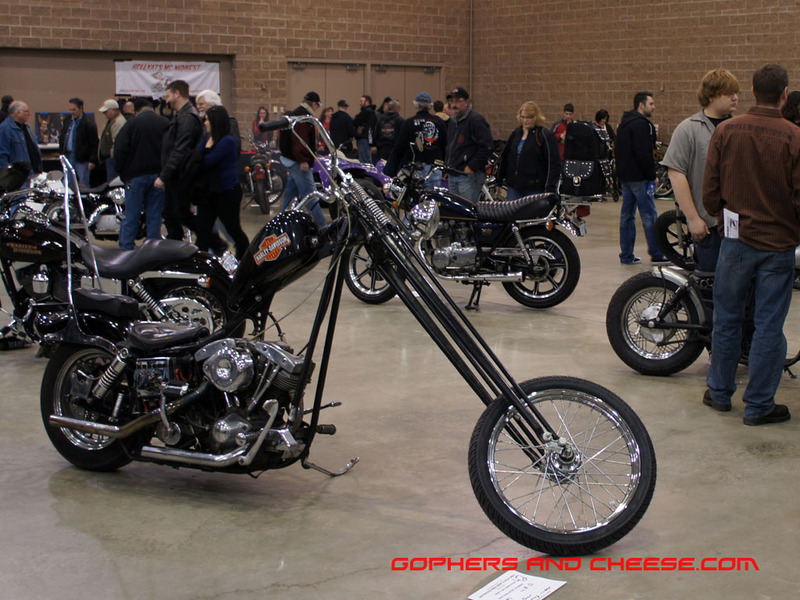 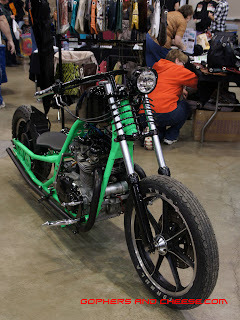 There were all different kinds of motorcycles at the 2013 Rochester Bike Show and Swap Meet. For instance, I really liked this black and yellow dirt-bike styled Yamaha. Maybe you prefer a giant purple trike. 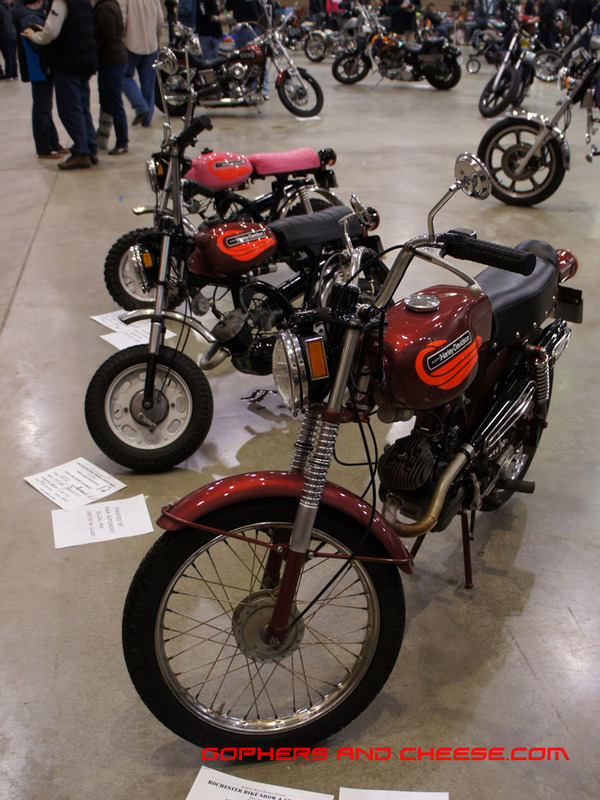 Or maybe you prefer smaller bikes like these Harley Shortsters or this 1969 Honda MiniTrail 50. Perhaps you don't like gas-powered bikes at all. 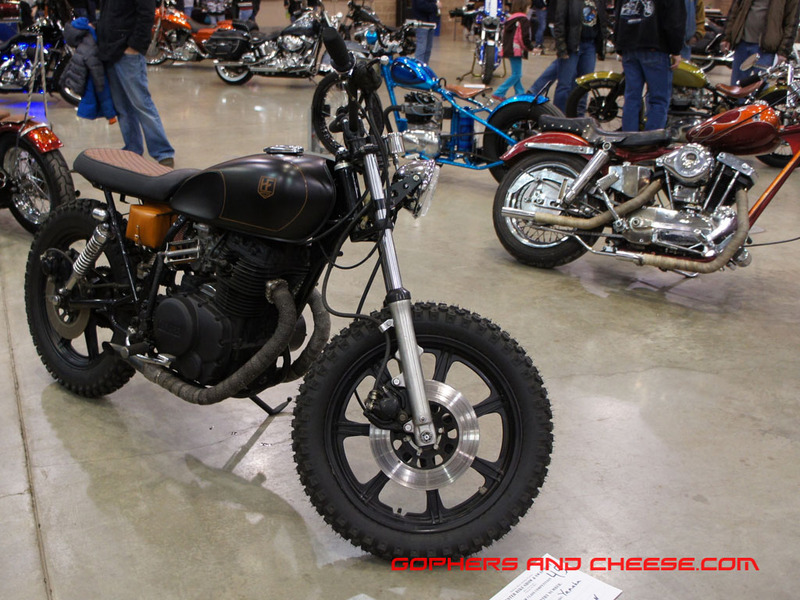 Check out this 1984 Yamaha Venture that was converted into an electric motorcycle and gets 30 miles per charge. Speaking of energy efficiency, this Sportster had the smallest LED lights I have ever seen. 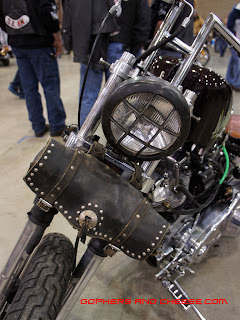 Personally, I wouldn't want to rely on these things as my brake lights. 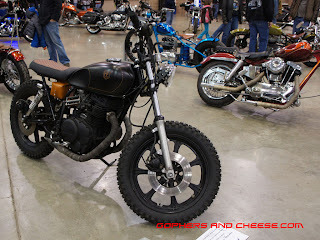 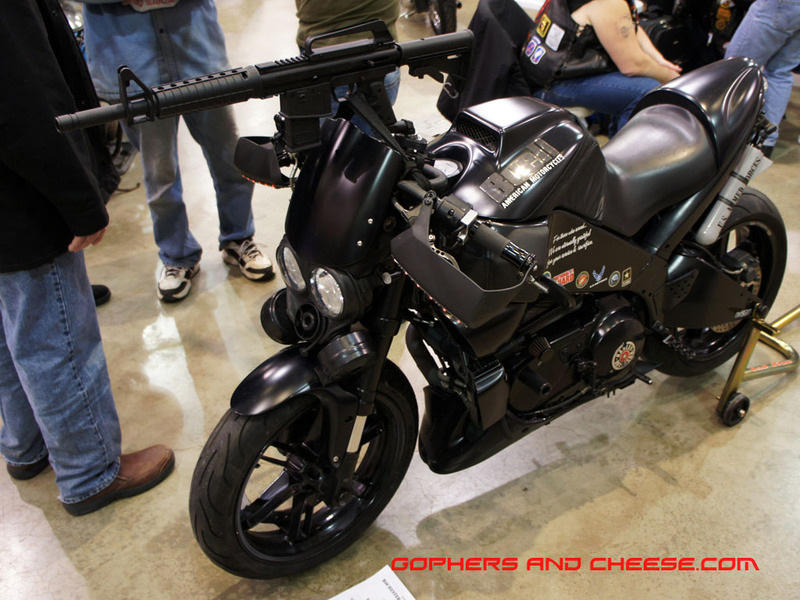 There were a lot of interesting bikes at the 2013 Rochester Motorcycle Show. Once of the craziest looking bikes was this 1980 Kawasaki KZ750 with green dropseat frame. The photos really don't do the green justice. 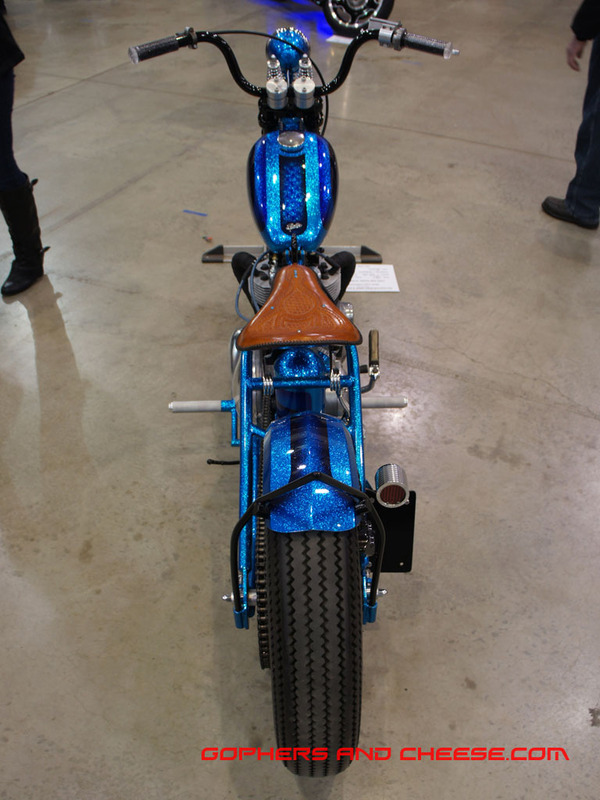 You had to see it in person. This is an extreme design and I really don't know how you can see where you're going. 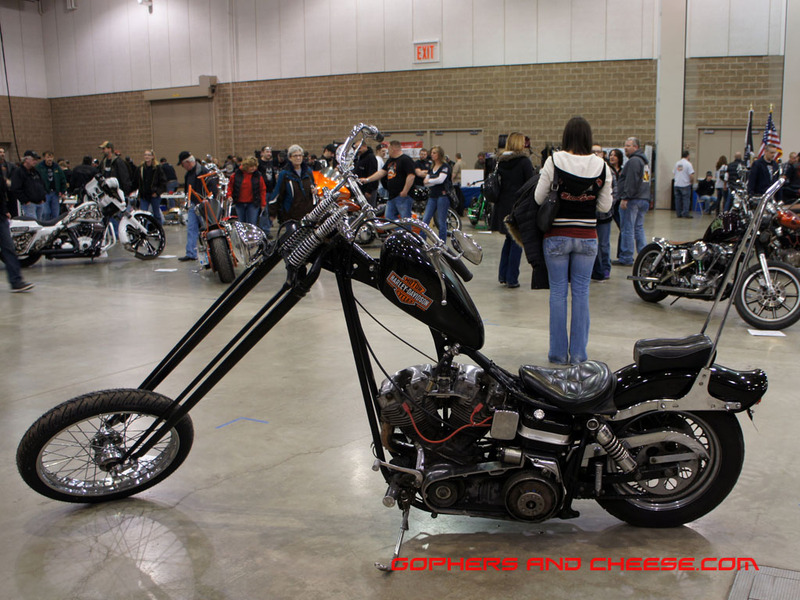 Same story for these two bikes... I would think the sky high tanks would make it difficult to see. The first is this striking 1955 KH chopper created by ChopKo Customs. 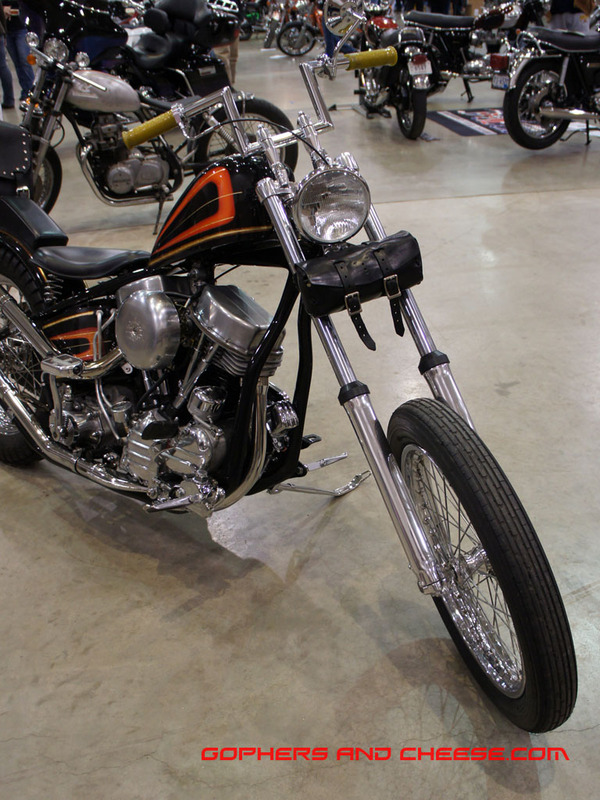 The owner of this shovel might be at the swap looking for a primary cover. While this bike's tank isn't quite as high, the forward controls the tall bars seem like they would make for an awkward riding position on the orange-framed hard-tailed bike. 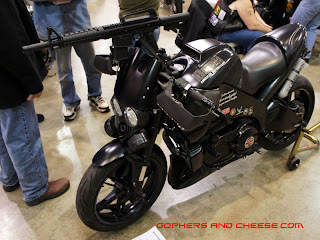 Speaking of awkward riding position, try having a gun mounted to your handlebars. 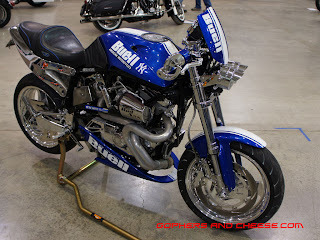 These Buells each have a distinctive theme. 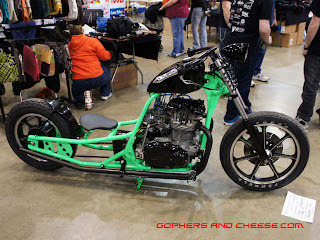 So many more photos to post... Come back for more!